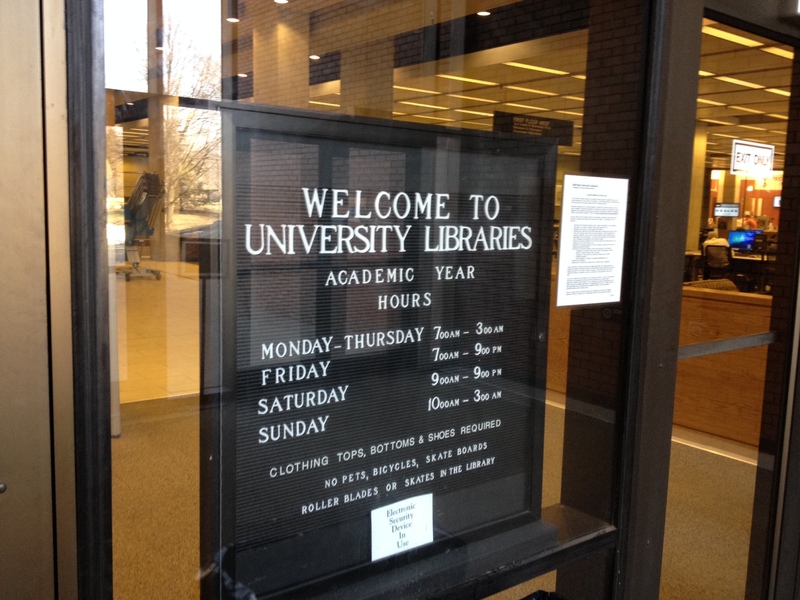 While I was at Ball State on Monday, I spent several hours hanging out in the university library, doing research for the Ph.D. course I am teaching next week. When I was a doctoral student, I spent a lot of happy time in the libraries at Duke University, Duke Divinity School, and the University of North Carolina at Chapel Hill. Now that I’ve completed my degree and we’ve moved to Indianapolis, I no longer have the need or the access to a great university library. Therefore, it was a real treat to spend some time in Bracken Library at BSU. Don’t judge. Just excuse me while I spread out on a table in a quiet corner on the second floor.